Devoted readers know that when we are back in the ATL we have a food blog so we have to occasionally slip back into the Friday Date Night mode and share a meal. We changed our home base on Saturday. We are now in a tiny village called Comps which doesn’t really have many dining choices. 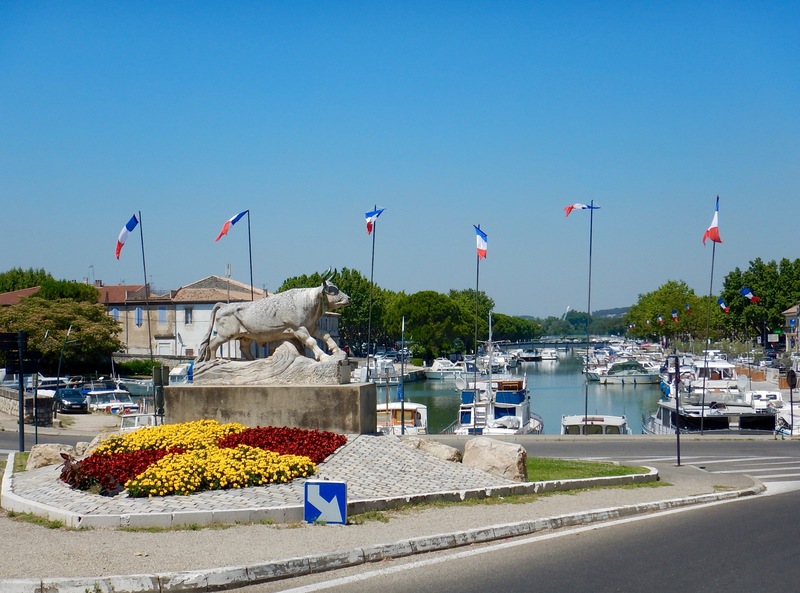 We drive about 6 miles into Beaucaire and have dinner on a canal which connects to the Rhone River and the Mediterranean Sea. 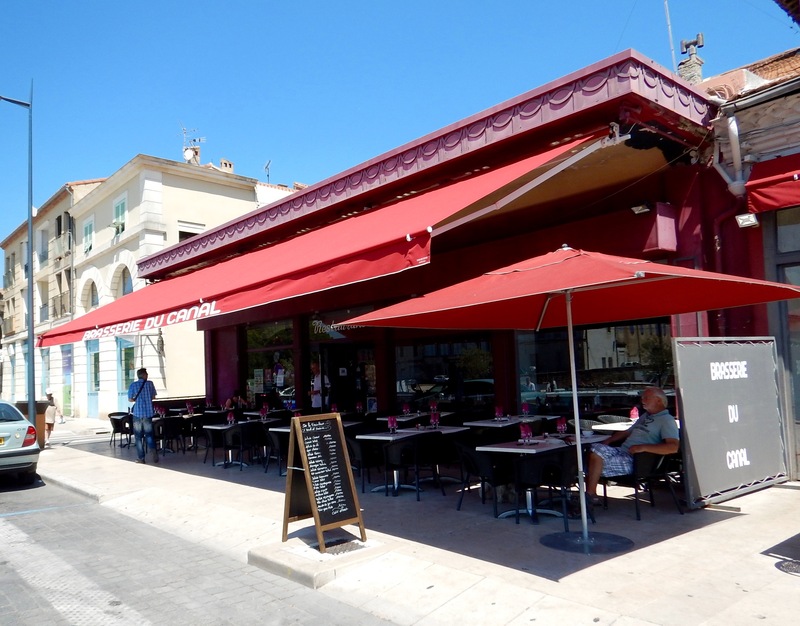 We choose the cafe with the largest outdoor terrace and view of the canal. 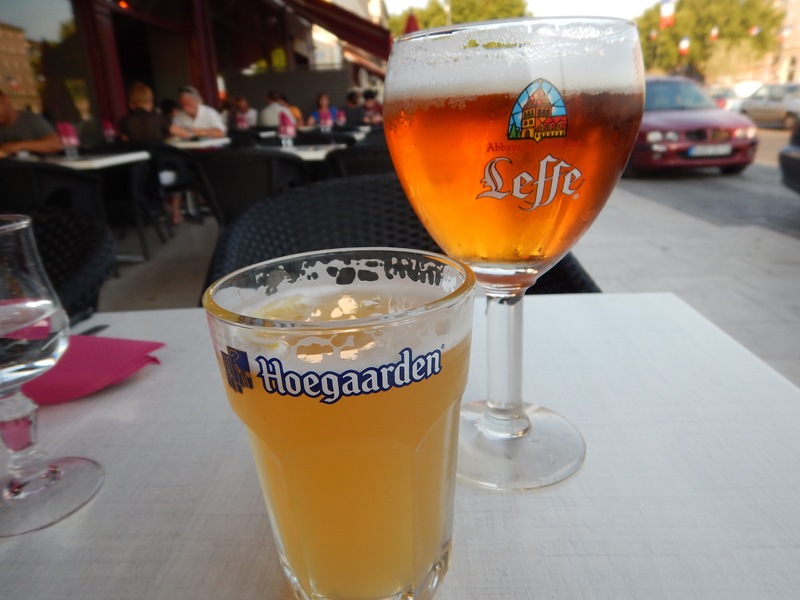 It’s a warm night and we relax with cold beers on the terrace. Why drink French when Belgium is so close? 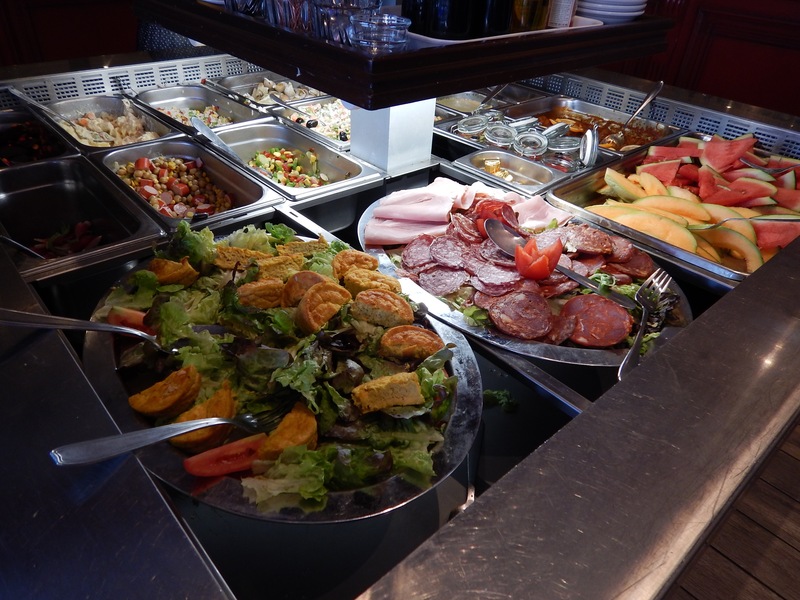 We choose the Brasserie du Canal because it boasts a salad bar of Volande (grandiose) proportions. Salad bars are a rare sight in Provence. This is no Golden Corral. Cured meat is a French mainstay, but is it actually salad? A few thoughts about the salad bar. We can’t actually find the salad part! The only thing remotely resembling lettuce is the garnish underneath some of the food items. 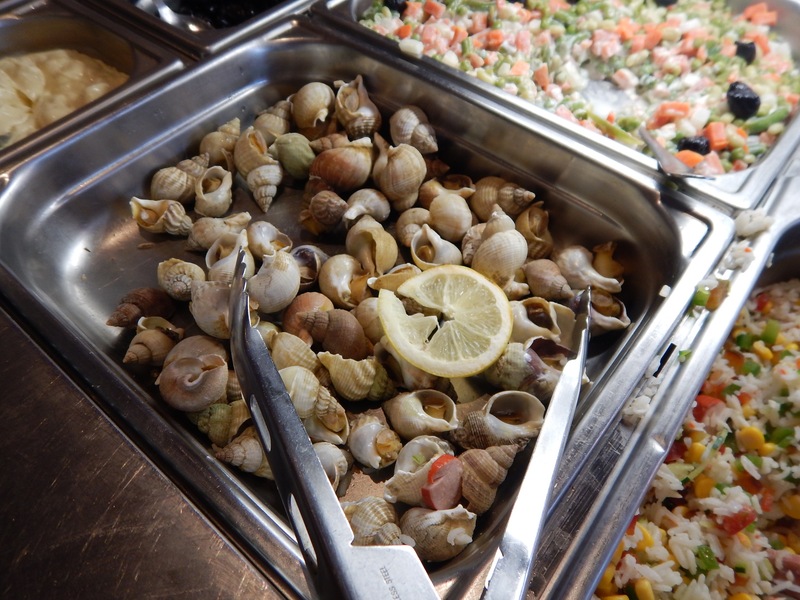 And those snails, which other diners keep going back to get refills of (sort of like the crab legs at the buffet in the USA), are very tough and chewy and one is enough for me. 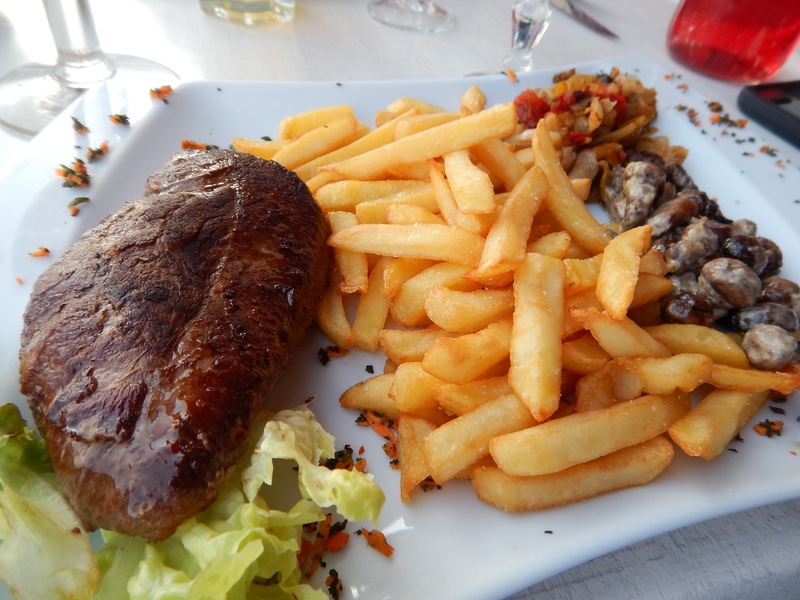 Roger orders the duck, which comes with mushrooms, a mushroom sauce, pomme frites and a seasonal vegetable dish of eggplant and zucchini. The portion size is generous. The duck is a little on the rare side (of the medium he orders), and the mushrooms are outstanding. there is a lot of food on this plate! 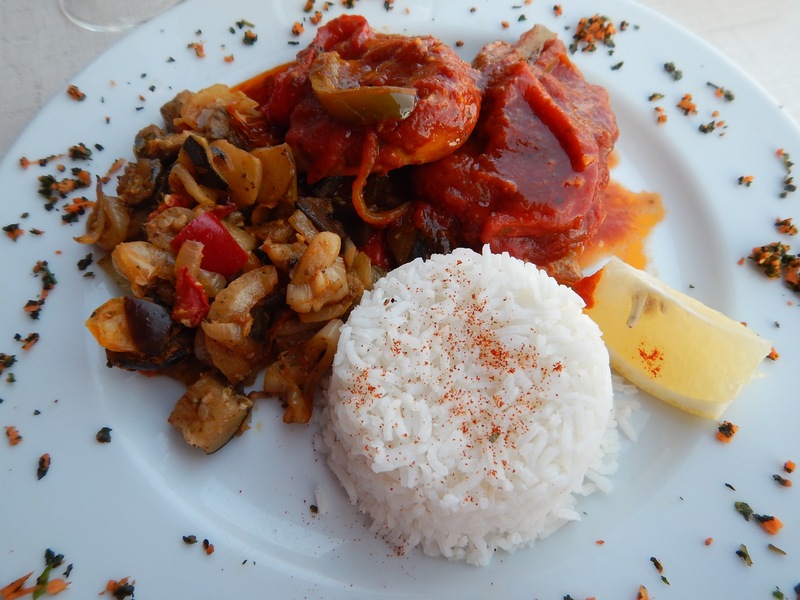 I order the Provencal Tuna which is topped with tomato sauce and peppers and served with rice and the seasonal vegetable. The tuna is tender and tasty and I especially enjoy the beautifully seasoned tomato sauce. It’s a big portion and Roger helps me finish it. 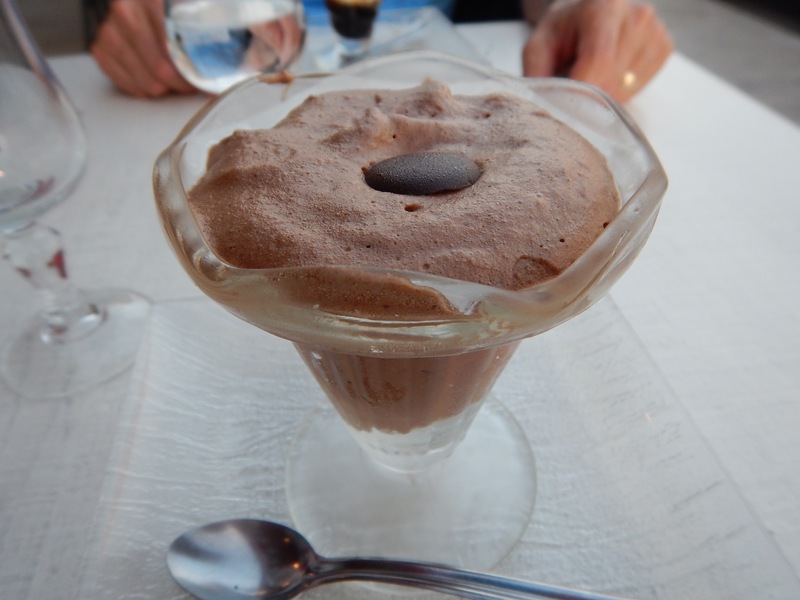 so light, so chocolatey, so yummy! 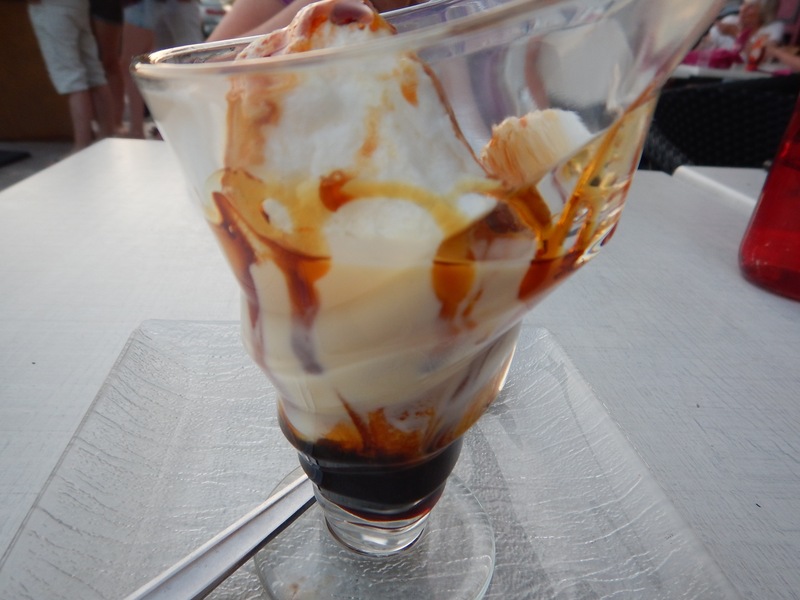 floating meringue in creme anglaise – or heaven in a dessert cup! We have enjoyed a generous meal and feel fueled up for the week of riding and touring. Coming up next, sights and sounds of the region!